10 Masterclass Innovation Series Takeaways Worth Knowing! For the past several months, our BarnManager team and our Equine Tech Collab partners have wanted to bring to life an event, or a series of events, that would embody the Equine Tech Collab’s mission of supporting the education of equestrians in order to equip them with the knowledge and tools needed for best practices in horse care, welfare, and management. 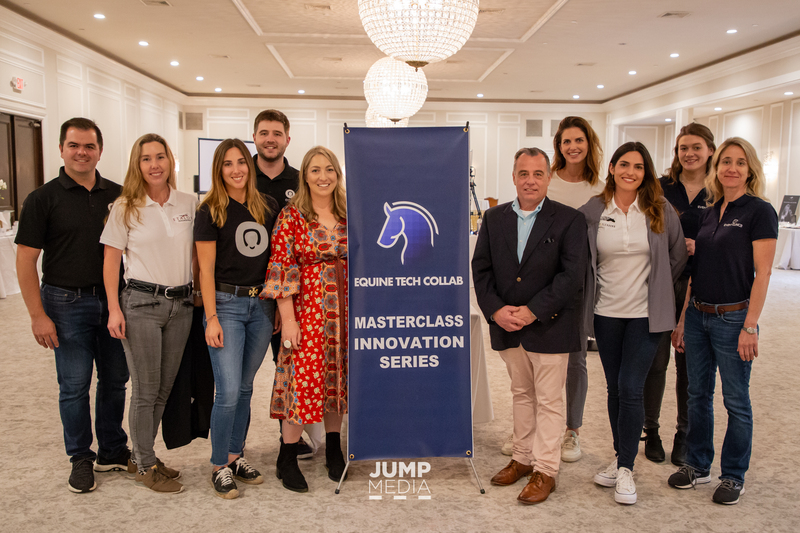 On Tuesday, March 19, that idea came to fruition in the form of the Equine Tech Collab’s Masterclass Innovation Series: A Mindful Approach to Horse & Rider! 1. Keeping your horses sound starts with spending time with them. 2. Educating yourself is important for both you and your horse. Educating yourself is another vital step to maximizing your horse’s well-being and soundness. It also goes hand-in-hand with spending time with them – and your vets will appreciate it too! 3. A good relationship with your vet can go a long way. 4. Stress is not always a bad thing – at least if you’re a muscle. “The only way that you’ll get a stronger muscle is to break down muscle fibers. Often what we see in our horses is they get done with a competition, and we feel their backs and immediately feel, ‘Oh they’re sore.’ In my world, as long as that soreness doesn’t become pathological, I’m in the back going, ‘Yay!’ Because now, next week that horse is going to become stronger. 5. Just because you may feel like you need a day off following a horse show, it might not actually be what is best for your horse. In order to move the muscles more and to help them grow and heal, Sheila explained that a day off from riding after a big effort is not really the best solution. 6. You’re not the only one with show ring anxiety; Olympic and World Championship athletes battle it too. 7. There’s great value in routine. Through trying different routines, Daniel found that a pre-competition nap is often quite beneficial for him. It’s all about what works best for you! 9. At the end of the day, it’s important to remember why we all do this in the first place: the horses. ”Stronger Together” is the tagline of the Equine Tech Collab for a reason. We knew that together we could do far more to further our shared missions than we could ever do alone, and the first Masterclass Innovation Series was a testament to that. 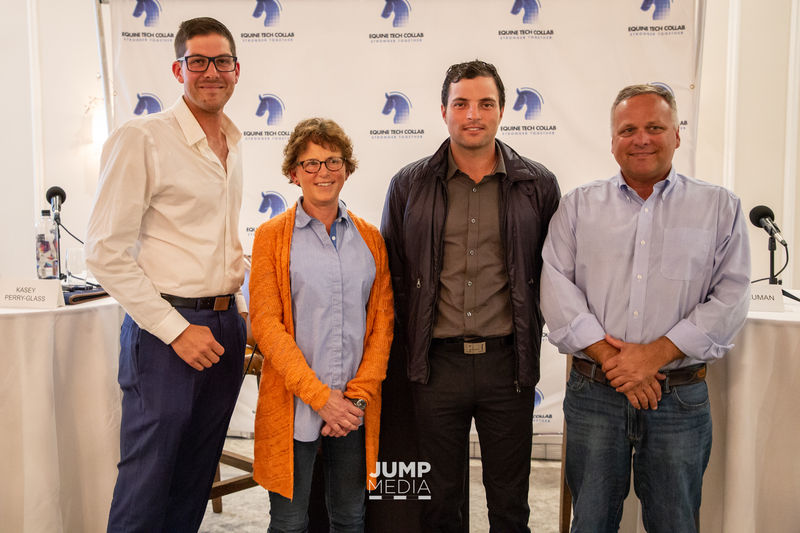 Not only did all of the Equine Tech Collab partners come together, but also the panelists all gave so generously of their time, knowledge, and expertise – something that we are so incredibly thankful for! By working together to share this knowledge and to share resources, we hope that the equestrian community as a whole can become even stronger together! On September 21, spectators and show jumping fans from around the globe watched as McLain Ward and Clinta delivered an incredible jump-off performance to anchor the U.S. team and clinch the USA’s first World Equestrian Games (WEG) team gold medal. What most spectators did not see however, was Lee McKeever outside of the ring, overseeing every last detail of Clinta’s care or McKeever’s wife, Erica McKeever, coordinating all of the logistics involved with Ward and Clinta’s WEG appearance and managing the 30 additional horses back home at Castle Hill Farm in Brewster, NY. 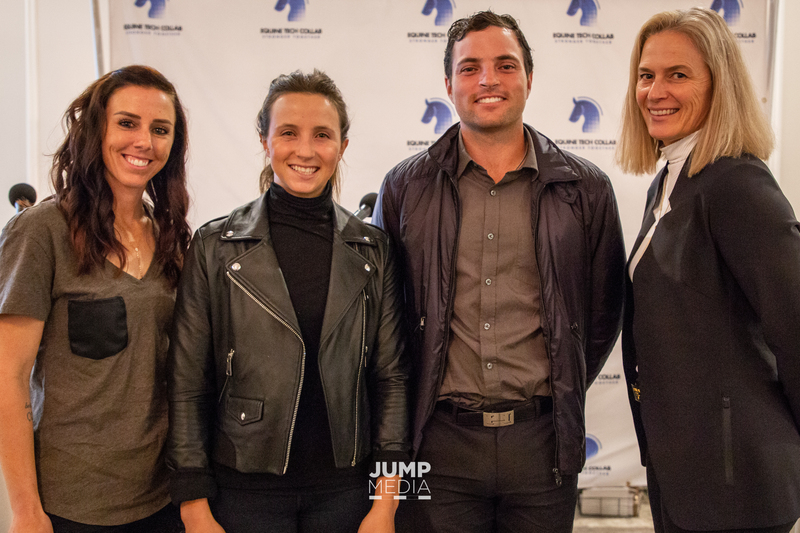 Behind every great rider is an equally great barn and horse management team, and while they might not be the ones atop the podium, for the last 30 years, Erica and Lee McKeever have been an essential part of that team at Castle Hill. 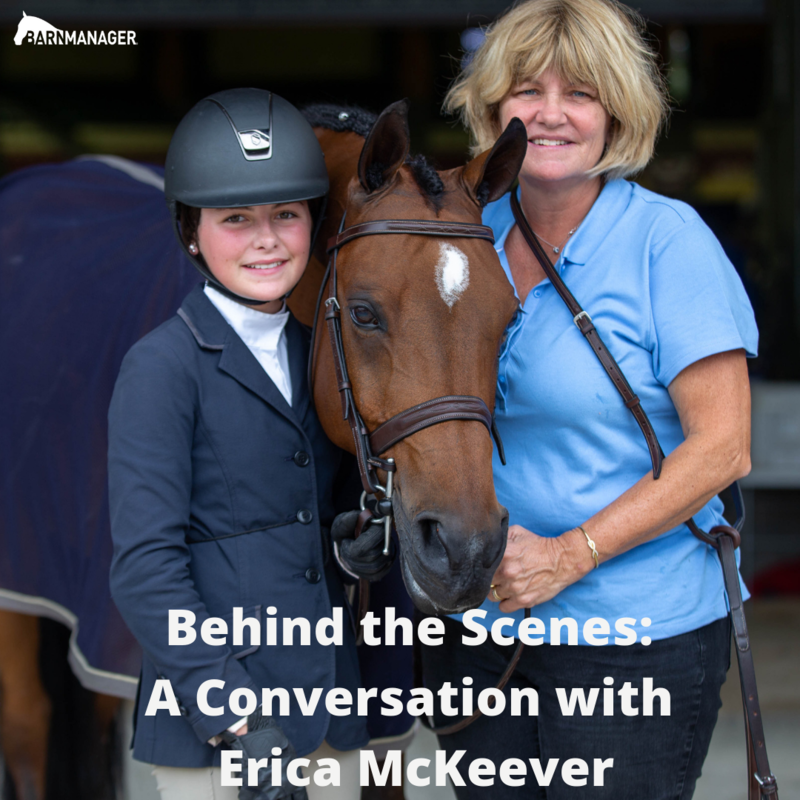 With more than three decades spent overseeing horses at one of the top show jumping barns in the country, there are few with more ongoing, high-level barn management experience than the McKeevers, so we asked Erica to share more about her own management career! Q: How did you get started at Castle Hill? When I came to the U.S., I was working for Tim Grubb in New Jersey, and Brigette that was working for Tim’s barn brought me to Castle Hill during the horse show at Old Salem. Then I guess he must have called Brigette shortly after and said that he was looking for someone who could manage the show horses and go on the road with him. She asked me if I thought it was something that I was interested in doing. I said, “Oh I don’t think I could.” I had experience but not being in sole control of the horses. She said, “Well I think you could do it.” I did a trial, and we kind of hit it off right from the go. He was awesome. He taught me so much about horses and horsemanship. It was really special. I figured it out, and I never looked back. I went on the road with him for a lot of years. McLain and Lee kind of went their way, and we went our way. I pretty much ran the show side of this barn. He had his managers at home, and that’s kind of how it started. Q: You had your son, Bradlee, in 2002, and your daughter, Baylee, in 2004. How did your role at Castle Hill change after having kids? I took care of Sapphire when we first got her. I’d just had Bradlee, so I tried to go on the road and still be a mom, and it actually was about virtually impossible. We had a fabulous babysitter who was with us from when Bradlee was six months old, so I tried to still go on the road and keep the same role, but it was really hard. I couldn’t do it. Then I started to stay at home and run that side of it. Instead of having a bookkeeper or a secretary, I did it myself. I still tried to occasionally go with Sapphire. I still traveled to Florida, and I still tried to do the barn as well because that’s really important to me. That’s what I love to do. Then I had my second child, and it became very difficult to do it all. So, I stayed home, and I run things at home. It’s great because now there are so many horse shows, you constantly have horses getting ready for the next event, which makes it really exciting at home too. Q: What’s a typical day like at home now? I like to be home until my kids leave for school on the bus, and then I go to the barn. I usually do a couple of hours in the office. We do a plan for the day of what horses are going to be doing–who’s riding which horse, who needs clipping, who needs the vet. We plan all that early in the morning. The key to this is to surround yourself with great people, and then it’s easy. If you have good people in the barn that you trust and are good at what they do, it makes our jobs really easy too. You have to find good people that really want to do this and love the animals. Q: What do you think it takes to be a good barn manager? I think you have to be responsible. You can’t leave it for someone else to do. You have to do it. I think managing is the perfect word – you have to pretty much manage everything from the help to the horses to the farrier. It’s a huge role, and it’s a huge responsibility. I love it because I like to be in control a little bit. Organization is important. We have a plan in place because McLain’s a huge planner. The horses are planned where they’re going now through week 12 of Florida. Again, I think the most important thing is that you have good people around you that care as much as we do, and they do this not for a job but because it’s what they love. We try to encourage the people to be a huge part of each and every horse. They all ride; they all take care of them. When McLain wins, we all win. Everybody contributes to that. Q: What are the challenges of the job? Now my daughter shows. She does the ponies. That’s become stressful in itself! I feel like I’m managing a whole other operation; I don’t know what’s going to happen when she’s doing the equitation! I just spent some time at the [ASPCA Maclay] Regionals last week, and that looks more stressful than ever. We just did the world championships, and that didn’t seem as stressful as some of those kids! Q: What’s your favorite thing about working for Castle Hill? The family aspect. To be appreciated by McLain as much as he does. It’s so special the way he involves our children in the whole thing – his father was the same. It was always about family. McLain’s really, really kept up with that. I would think he would make his dad very proud with how he is. I think giving the appreciation to the people around him, that’s huge for everybody. Not just for me, but for my husband, and Virginie [Casterman] who took care of Clinta at WEG. That’s so important to be appreciated. 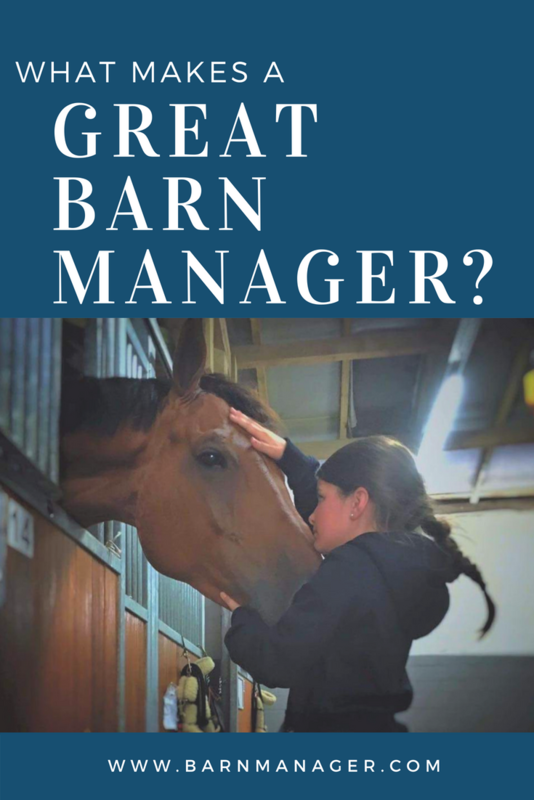 What Makes a Great Barn Manager? “Behind every great barn is a great barn manager” – or at least, that’s what we at BarnManager believe! But what does a barn manager do that makes the role so important? And what makes someone a great barn manager? While those answers vary from discipline to discipline and program to program, we’ve found that no matter what kind of horses they’re taking care of, a great barn manager is a great barn manager. 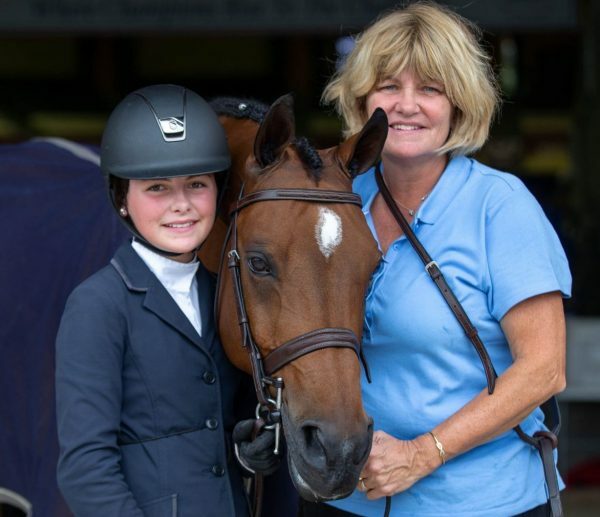 If the barn has a competitive show program, the manager is also likely in charge of all aspects of the horse show schedule, including arranging transportation for the horses, making packing lists, submitting horse show entries, ensuring the horses are up-to- date on health matters such as vaccinations required by show managers, and organizing the necessary veterinary paperwork and/or passports. The horse care aspects of the job can themselves fill up a rather lengthy list, but the tasks of a typical barn manager don’t stop there! In fact, for many barn managers, the management of people is as much, or even much more so, a part of the job as the management of horses. Extensive horse knowledge – Since he or she is often the one overseeing each horse’s daily care and feeding, it’s important for the barn manager to have a solid understanding of equine nutrition, basic equine medical treatments, and all elements of daily horse care. Great interpersonal skills – A barn manager is often the one interacting with both employees and clients on a daily basis, and therefore he or she needs to be an effective communicator with the ability to also listen to and work with others, and to deal with any conflict or problems should they arise. The attitude of the barn manager often really sets the tone for the barn environment – either positively or negatively. Dedication – Barn management is not a 9-5 job. It can often mean long hours and 24/7 availability should a problem or emergency situation arise, and the horses in the program are likely never far out of the barn manager’s mind even when he or she is away from the barn. Dedication to the job and to the horses is a key to not only success as a great barn manager, but also to true enjoyment of the job. Thank You to Barn Managers! Knowing just how much goes into the role, we at BarnManager are extremely thankful for all of the barn managers that we’ve had the privilege of working with! back into the barn with the horses they love. Signup for a free trial here! On a recent trip to Lexington, Kentucky, all of my childhood dreams came true when I was invited to visit The Peeps Foundation. For those of you who are unfamiliar with this organization or its namesake, Peeps, it’s time for you to become familiar. 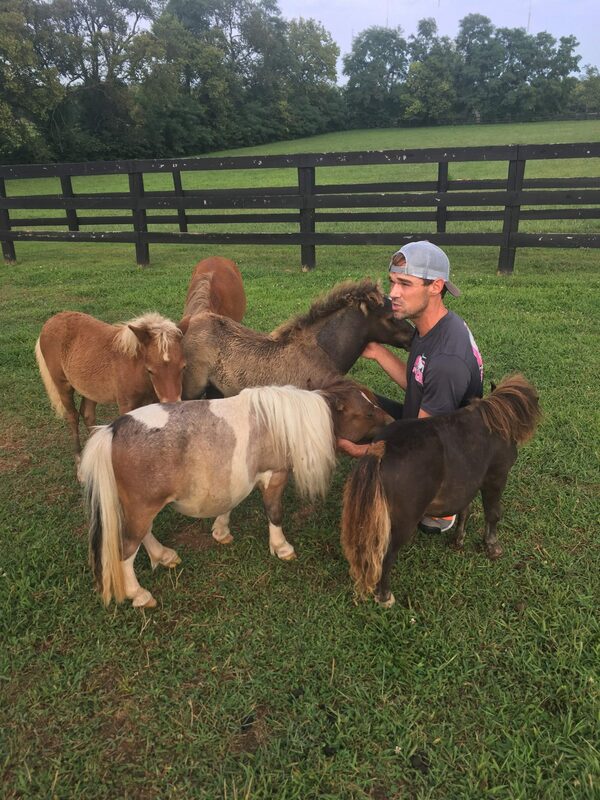 As I pulled onto the lovely Kentucky farm, I was immediately greeted by the Foundation’s fearless and talented leader, Josh Dolan; a free roaming dwarf miniature pony named Toasty; and a miniature fainting goat. 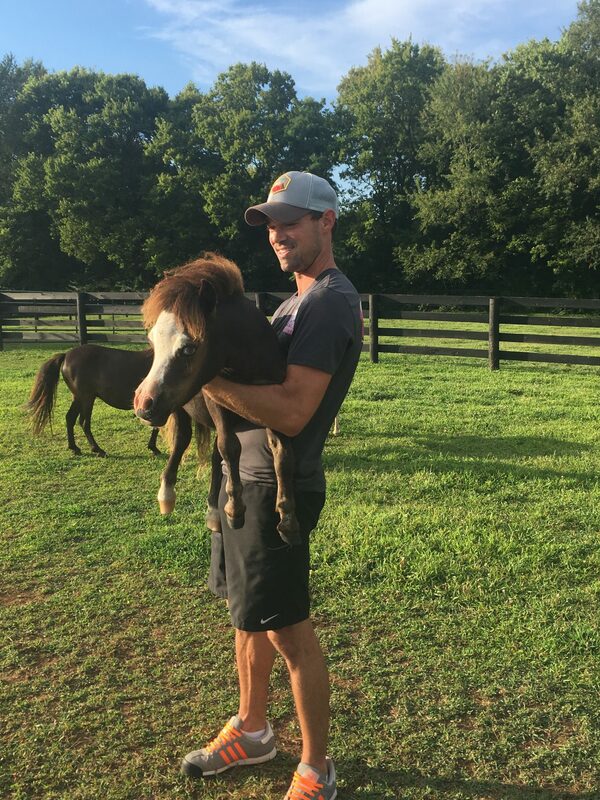 Josh kindly let me step into his world and get a better understanding of the work that he and his team are doing to find safe and loving homes for these tiny equids and to put a stop to the abuse and neglect that has befallen so many of these adorable creatures. The Peeps Foundation started in the spring of 2014 when Alex Granato of Mad Season LLC and Josh Dolan were on their way to a hunter/jumper show in Lexington, Kentucky. 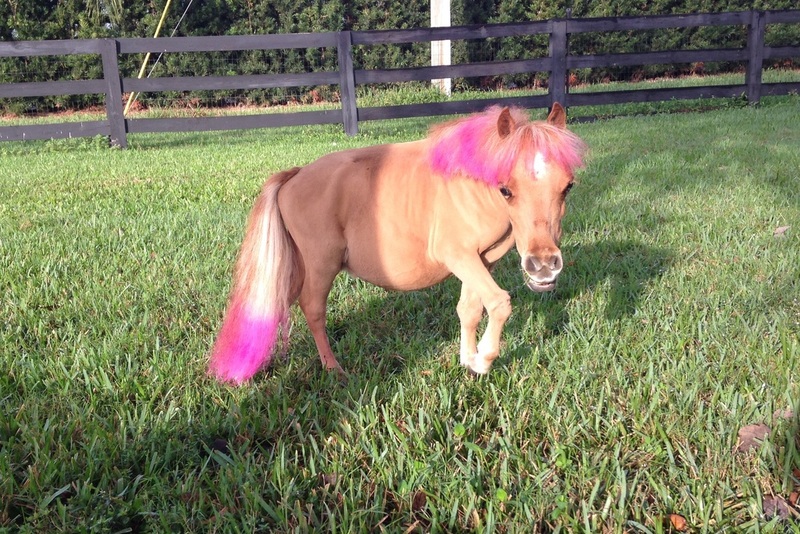 Along their drive, they spotted a dwarf miniature pony out in a field. Josh was familiar with miniatures and with dwarfism, a rare genetic condition that causes deformation, weakness in the limbs, and many more long-term health issues. Feeling curious, they pulled over and found that the entrance to the property was locked and chained. Out of concern for the little guy in the paddock, they walked down a neighboring driveway. 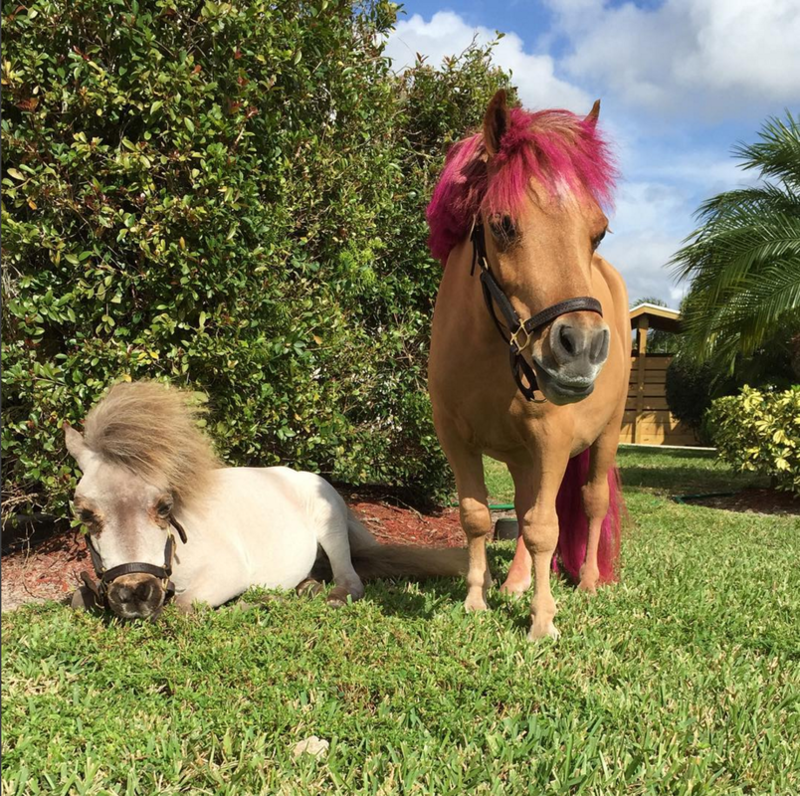 To their shock and distress, Josh and Alex discovered a field full of miniature ponies that appeared to be malnourished and in extremely poor health. Alex hopped the fence to find an additional mini starved in the barn aisle and many others in extremely dire conditions. While working with the authorities to try to remedy this sad situation, Josh returned daily to find their condition worsening. Determined to do something, Josh left a note on the fence for the owner, who was nowhere to be found. To his surprise, the owner called that very night and offered to sell him the minis for a good price. The Mad Season crew completely rearranged their nearly full show barn to accommodate the 35 miniature ponies that they rescued and nurtured back to health before finding them forever homes. One of the minis that they had rescued that day was the one they first saw in the field, Peeps. Peeps was diagnosed with Rhodococcus, a very serious and often deadly disease, but after four strenuous months of antibiotics, around-the-clock care, and a custom box stall to ship from Lexington to Wellington, Peeps was back to her spirited and sassy self. Shortly after regaining her health, Peeps became an instant celebrity. She accompanied Josh on Chick-fil-A runs and regular visits to the WEF show grounds for Saturday Night Lights. Since their initial rescue mission, Josh and Alex founded The Peeps Foundation to continue to help minis in need. Since its inception, The Peeps Foundation has helped hundreds of minis find loving homes. Notably, many of these adorable animals have found forever homes with some familiar faces, including actress Kaley Cuoco and riders Jessica Springsteen, Jennifer Gates, and Ben Maher, just to name a few. During my visit (and while I fell in love and wanted to take every single one of the minis home with me), Josh spoke to me about some of the challenges he has in keeping paperwork in order for all of the minis coming in and out of their farm. They constantly have to dig through hundreds of file folders to locate various health documents, adoption records, and applications. He also has to spend a lot of time documenting all of the health treatments that they administer and instructions for new families to continue to care for their adopted minis. Josh was hopeful that BarnManager could help him to simplify all of this work so that he could focus on the animals rather than the paperwork. Each time a new rescue comes to the farm, Josh can quickly snap photos of all of their documents and create a profile for them. As the new rescues are assessed and monitored, Josh and his team can keep records and store any reports from their vet or farrier in each pony’s profile. And when it is time for a mini to move to their new home, Josh can download and print or e-mail these records to their new family. He can also store copies of all adoption applications and contracts for his records and archive the adopted ponies so that their histories are saved, but they are no longer included in his active planning. With the help of Josh, Peeps, and the rest of The Peeps Foundation team, we realized that we have a huge opportunity and a duty to support more organizations. That is why we have decided to offer Free Subscriptions for 501(c)(3) Organizations. All equine rescues and equine therapy centers with 501(c)(3) Charity Status are eligible to receive a FREE BarnManager subscription. BarnManager was created to support managers and horse owners in providing the best care and management of their horses. And with Free for 501(c)(3), we want to further our mission to support all of the incredible organizations that work tirelessly to give horses a second chance, to improve the lives of others, and to bring happiness and well-being to people in need. And there are so many other great equestrian companies who feel the same way! After sharing our idea with Steven Bluman, CEO and Co-Founder of Equo, an instant collaboration was born. 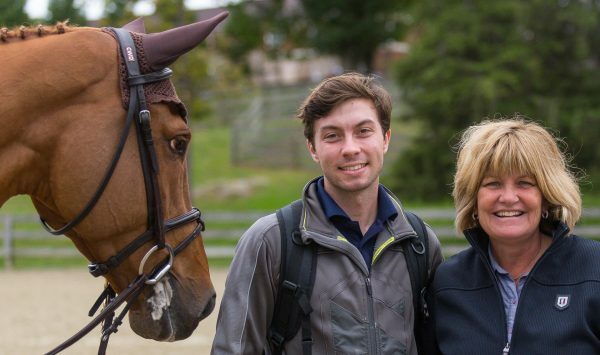 Equo, the company that is redefining horse transportation, was founded with the mission of making the entire horse industry more reachable and accessible by connecting owners, trainers, and riders with shippers all around the country. With that in mind, being able to help those in need of a better home fits right in with their mission and core values. 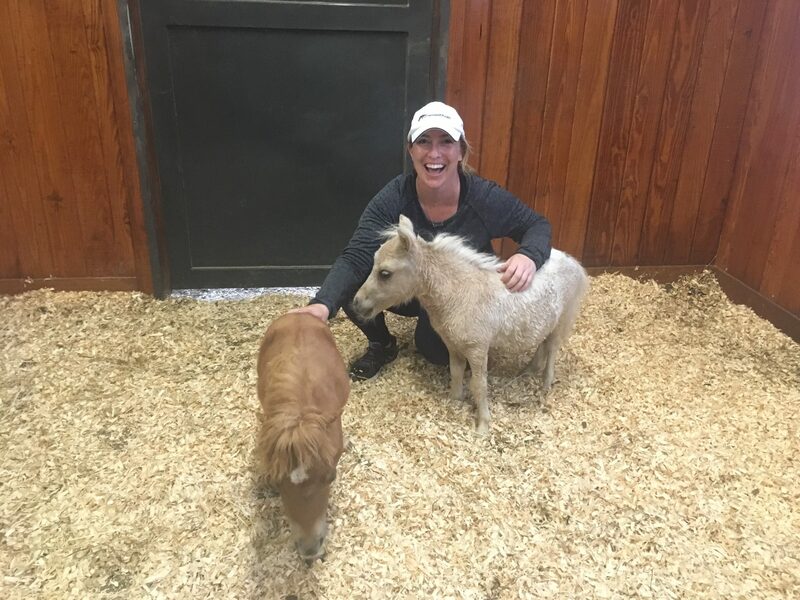 The Equo team is honored to help The Peeps Foundation to provide transportation for minis coming to the Foundation and then moving on to their forever homes. If you own or operate a 501(c)(3) rescue or therapy organization and would like to sign up for a Free Subscription, click here for more information and to find out if you qualify. For more information about the Peeps Foundation or how you can get involved, check out their website and follow them on Instagram (@mylittlepeepers) and Facebook. And for all of your horse transport needs, head over to Equo to learn more about their services.